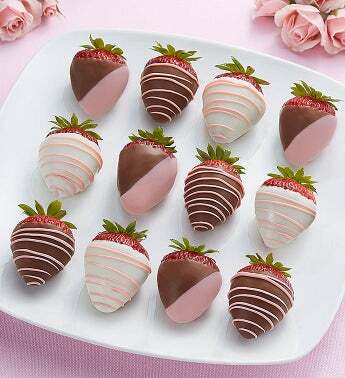 Treat them to their heart’s desire with sweet decadent dipped berries. 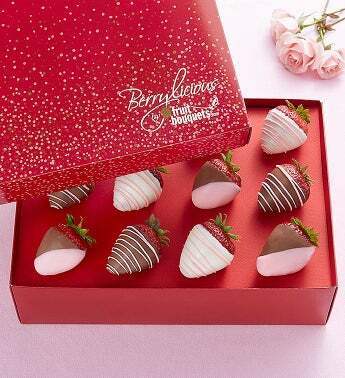 One dozen plump, juicy strawberries, dipped and drizzled in pink and white and presented in a lovely gift box. 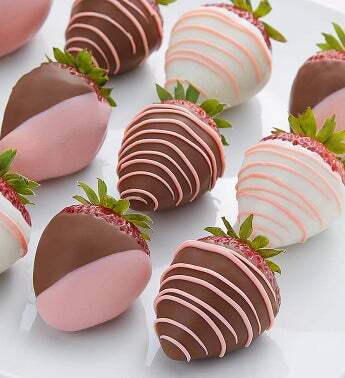 Send these and it’s you they’ll crave!